GCS provides an academically rich curriculum with biblical truth at its core. Our K3 program begins their foundation for learning at GCS. We focus on intensive phonics and strong foundational math skills in our K-4 and K-5 classes. We continue to build on that foundation throughout our elementary program, incorporating the accelerated reading program from first grade through middle school. Our middle school and elementary school students have the added enrichment of music, computer and physical education electives. 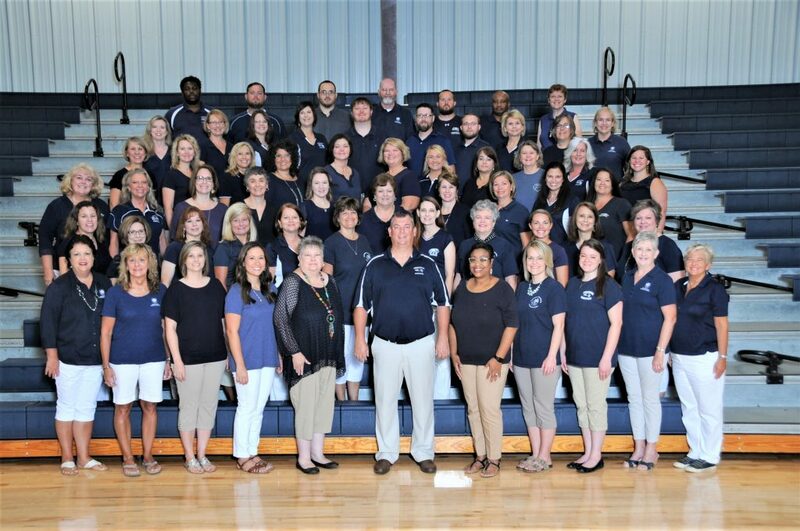 Our high school academic program offers college preparatory and honors classes, eighteen hours of dual enrollment classes with Piedmont Technical College, AP calculus, physics, and foreign language –all taught by teachers certified by the Association of Christian Teachers and Schools (ACTS). 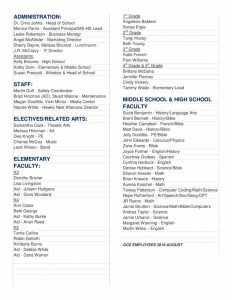 Click on the image above to view and download the GCS employee list.